The first thing you'll notice about a Euro Fireplace is the design. Yes, it's European. However, design doesn't end with the outer styling. Superior European design also results in warmer fires, using less wood, with fewer emissions. Euro Fireplaces are the sole importer of a range of European manufactured fireplaces from leading manufacturers including Thorma and Haas + Sohn. The Euro Fireplaces team has years of experience and make regular visits to European manufacturers, and industry seminars, which enables us to provide you with the very best in clean, efficient fireplaces. Euro Fireplaces are clean burning, more economical than standard fireplaces, easy to light, and require minimal cleaning. Think lighting and maintaining an open fire is difficult, time consuming and messy? Think again. Take a look at just how easy a Euro Fireplace is to light, burn and clean. You won't believe the small number of logs required to stay comfortably warm - in style. 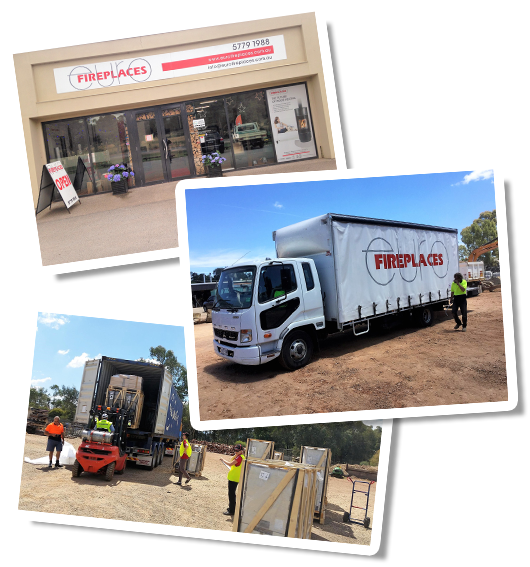 An Australia wide service network means it's easy to see and discuss a Euro Fireplace with a heating expert.